A League of Legends-inspired episode of "The Simpsons" will air this weekend on FOX, and Riot Games shoutcaster David "Phreak" Turley will lent his voice to the episode. The episode will be titled "E My Sports" and appears to be the series' take on professional gaming. The episode will follow Bart Simpson as he progresses as a competitive video gamer and Homer becomes a passionate coach. 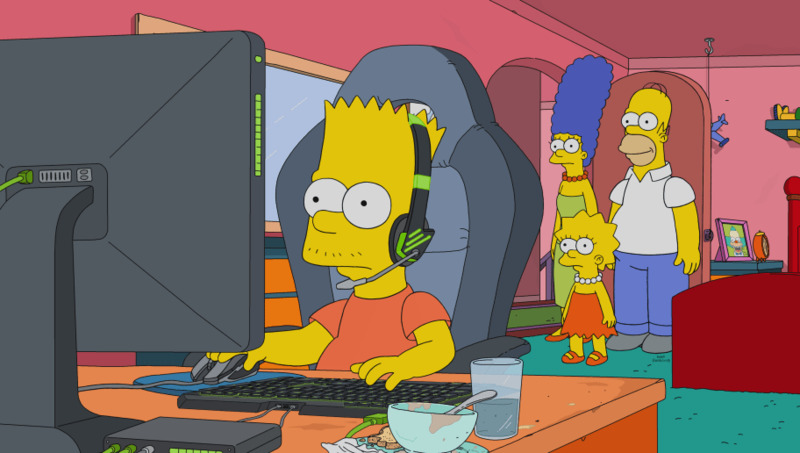 In stills released for the episode, Bart can be seen eyes glued to his computer monitor with a headset, mouse and keyboard. "To bring authenticity to the script, producers enlisted the help of Riot Games by attending games at the LCS, consulted with the League of Legends esports team, and visited Team Liquid’s Alienware Training Facility to better understand pro players to ensure the experience depicted in the episode would be authentic to the players, coaches, and fans," a Riot Games spokesperson wrote in an email Friday. Phreak has been a mainstay on the League Championship Series' (LCS) commentary desk since its inception six years ago. It is not yet known in what capacity Phreak will be used in the episode. The "Simpsons" episode is set to air Sunday on FOX at 8 p.m. ET (and 8 p.m. PT). In recent months, Netflix featured the LCS professional league in its series "7 Days Out," and this episode is "the latest in a series of moves by Riot Games to introduce sports and entertainment fans to the excitement and drama that is professional League of Legends," the email read.